The Nanakshahi Calendar is the calendar that is followed by the Sikhs to determine the prominent religious days for the Sikhs in a year. Every religion and community in India has a calendar of their own. The In this article we will explain some interesting facts about the Nanakshahi Calendar and by it was adopted by the Shiromani Gurudwara Prabandhak committee. It was in 1998 that this calendar officially replaced the traditional calendar called the Saka calendar. The Nanakshahi Calendar was designed by Pal Singh Purewal. He was a retired computer engineer from Canada and wanted to make a calendar that can be followed easily and would be more logical. It is a tropical solar calendar. This Nanakshahi calendar is based on the time the earth takes to rotate around the sun. This Nanakshahi calendar uses the mechanics of the western calendar. The Nanakshahi calendar is scientific and easy to understand. This Nanakshahi calendar also has a leap year in every four years. On this year an extra day is added to the month of phagun. The length of each year in the Nanakshahi Calendar is 365 days 5 hours 48 minutes and 45 seconds. This Nanakshahi Calendar has five months of thirty one days and seven months of thirty days. The months are taken as per the Gurbani in the Guru Granth Sahib. This Nanakshahi calendar was approved by the akal Takht in 2003 and was also amended later. The year 2014 was the 546 year of the Nanakshahi Calendar. This is because it starts from 1469 only. The name Nanakshahi comes from the first Guru named Guru Nanak. Phagun – 12th February to 13th March (sometimes it can be 14th March too). This year starts from either 13th or 14th of March and ends on the next 13th or 14th March. All the festivals of the Sikhs are followed as per the dates of this calendar every year. Some important festivals are mentioned in the calendar. It mentions the list of the days when the prominent Sikh leaders were born. It also gives the list of the dates when the prominent Sikh leaders died. 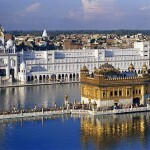 It mentions many other such dates that are important from the point of view of the Sikh religion. The Nanakshahi Calendar is available online and can be downloaded easily by anyone who wants to follow the dates and the events of this calendar. It can be downloaded in Hindi, Punjabi as well as in English. Some festival dates remain the same and some of the dates keep changing over the years. The traditional calendar of the Sikhs had many issues and concerns as a result it could not be followed easily and created a lot of confusion. Especially because many Sikh followers live in different parts of the globe and they needed to follow a standard calendar. Without a standard calendar in place it was getting very difficult for the Sikh community to maintain uniformity in the celebrations. We hope that this article on Nanakshahi Calendar was informative to the readers and will help them to understand the basis of this calendar and how it is used. This Nanakshahi Calendar is accepted and followed by almost ninety percent Gurudwara across the world. Some very orthodox Gurudwara do not follow this calendar as they consider it incorrect.